Home / Support / Troubleshooting / Accounts / How to Change Your Account Password? This guide will show you how to change your VeePN account password. Please, keep in mind, that this process can only be done on the VeePN website and not available through the VeePN app. If you’ve forgotten your password, you can easily recover it here. 1. You need to log in into your account before you can change your password. 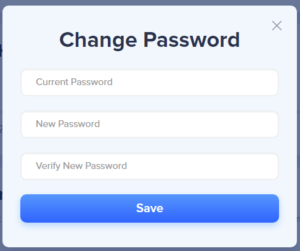 2.In your cabinet choose your account settings and click on “Change” button near password field. 4. Congrats! Your passsword should be changed.